Whatever you've heard about Caraval, it doesn't compare to the reality. It's more than just a game or a performance. It's the closest you'll ever find to magic in this world. Scarlett has spent her childhood writing to Legend, the man behind Caraval. She listened to the stories her grandmother told her, marvelling in the glamour and intrigue of it. She has begged him to bring it to her island as she knew her father wouldn’t permit her and her sister to leave. Before she weds, she writes once final letter, one which receives a reply. Three invitations to Caraval, a game like no other, where nothing is what it seems. The prize? A wish granted. 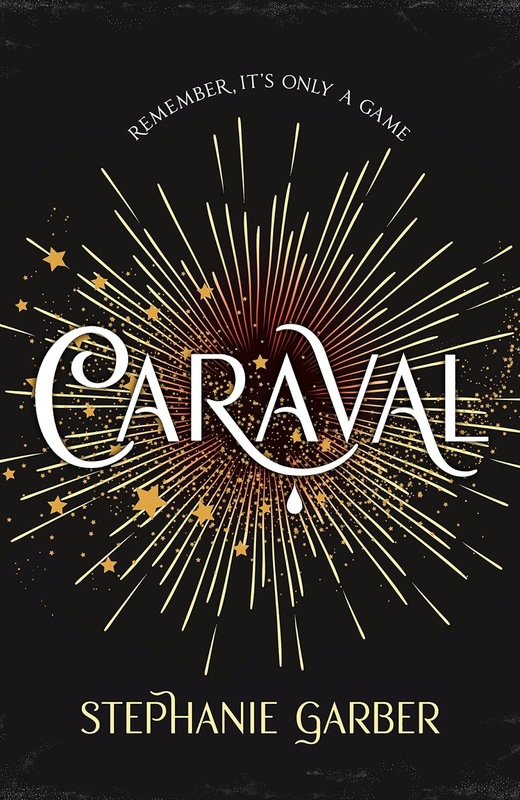 Caraval was much darker than I was expecting and I loved it. It has a bit of a Labyrinth vibe (the one with the Muppets and Bowie). I didn’t warm to the characters immediately but once they entered Caraval I was hooked. Scarlett believes her only chance at freedom lies in marriage, one her abusive and controlling father has arranged. Poor Scarlett is clearly very naïve but she manages to redeem herself when the going gets tough. The girls’ father is a nasty piece of work and I wanted nothing more than Caraval to be their saviour even if it seemed too tricksy to be good. On Legend’s island, magic is real and the currency is higher than money. They must pay with secrets and desires, or worse. The stakes are high, passions run wild and sometimes the guests don’t make it out alive. Dreams that come true can be beautiful, but they can also turn into nightmares when people don't wake up. There is so much deception in the pages, you end up not knowing what to believe. Whilst I had some theories, I’m still not sure if I guessed what was going on or not. It’s that kind of book that ties your brain up in knots trying to keep it straight. I also appreciated that it could be read as a standalone despite being part of a series. Obviously, I loved it so I want to read more, but it’s nice to have conclusions. 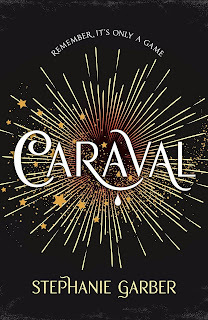 Caraval is published by Hodder and will be available in hardback and ebook editions from 31st January 2017. The hardbacks will have four different designs under the dust covers, so remember to take a look underneath when you buy it. Thanks go to the publisher for providing a copy for review. I've seen this around quite a bit and I love the sound of it so I'll definitely be picking up a copy when it's out. It actually reminds me that I need to get round to reading The Night Circus! Something about the cover, maybe. Oh, I really, REALLY want to read this and I agree with Charlotte in that it reminds me of The Night Circus. I don't think I've seen anybody say anything negative about it yet.